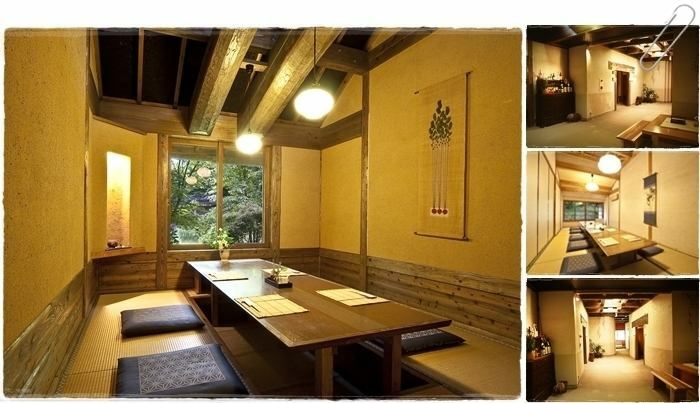 Meal in the Shiki no Sato Hanamura is, have you served in the RestaurantThere are two types of Restaurant which is a digging type ceremony, or a private room type Restaurant"Hanakago" with a seat, and a large hall type of "Kusan".Both offer a seasonal cuisine in a calm atmosphere. Dinner start time is from 18:00. Please note that if you arrive later than 19:00 you may not be able to offer. Breakfast time is 8:00 or 8:30. 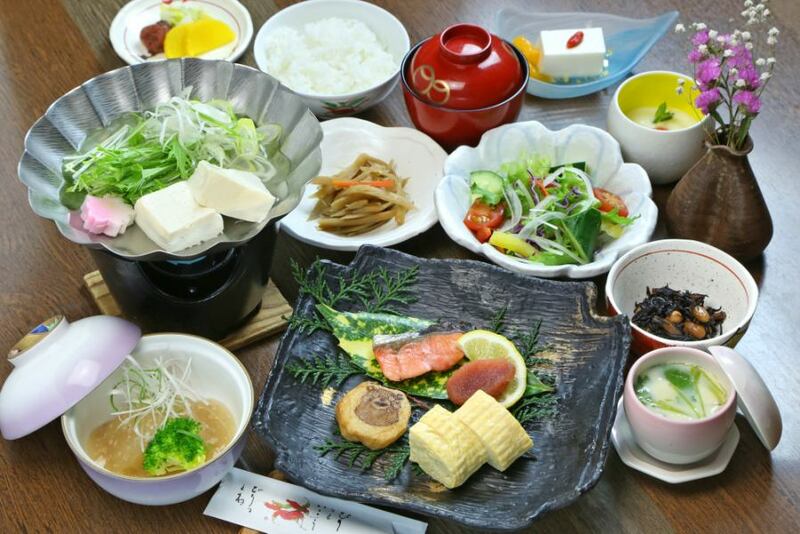 Regarding meals for children, Kids' meal till the low grade of elementary school, high school age adult meal, breakfast is same as adult meal. ※We arrange cakes for anniversaries as well. (Separately) Please feel free to contact us. 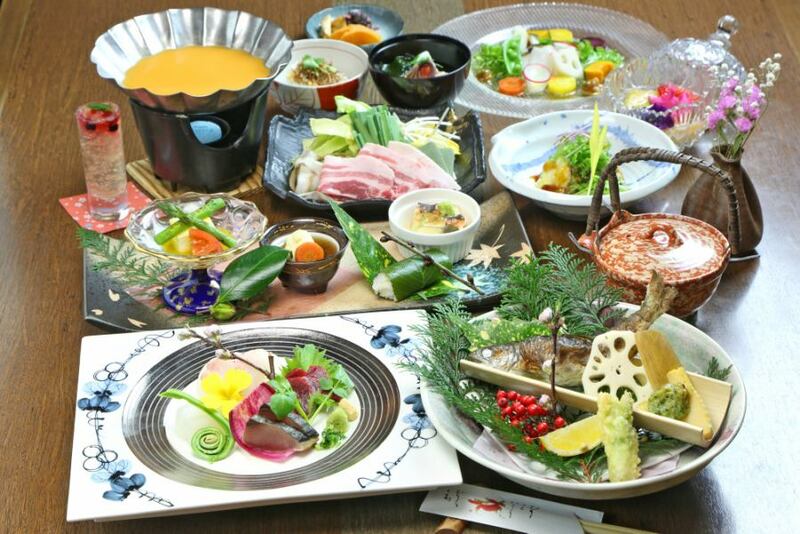 Shiki no Sato Hanamura of Shiki, we use materials from Aso and Minamioguni so that we can enjoy the seasons of the four seasons, we will be entertaining everyone. In addition, we do not have special food allergies to customers with food allergies, but we will correspond as much as possible.Please inform us of allergic ingredients and specific needs at the time of reservation. 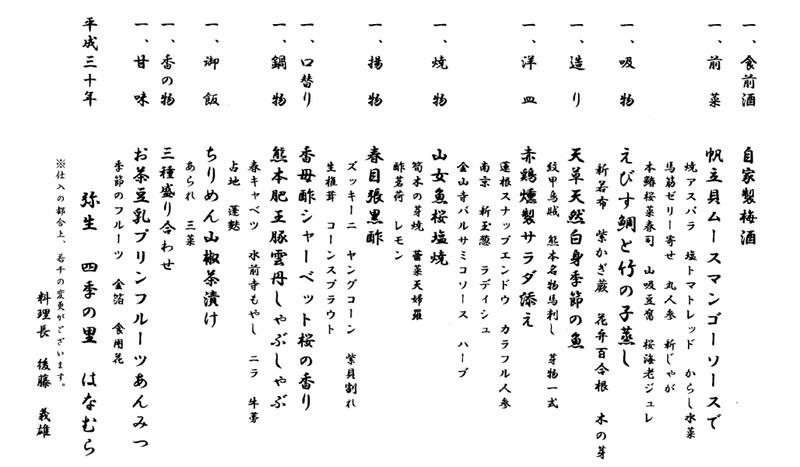 Hanakago is a space only for families, friends, people with whom I could feel. 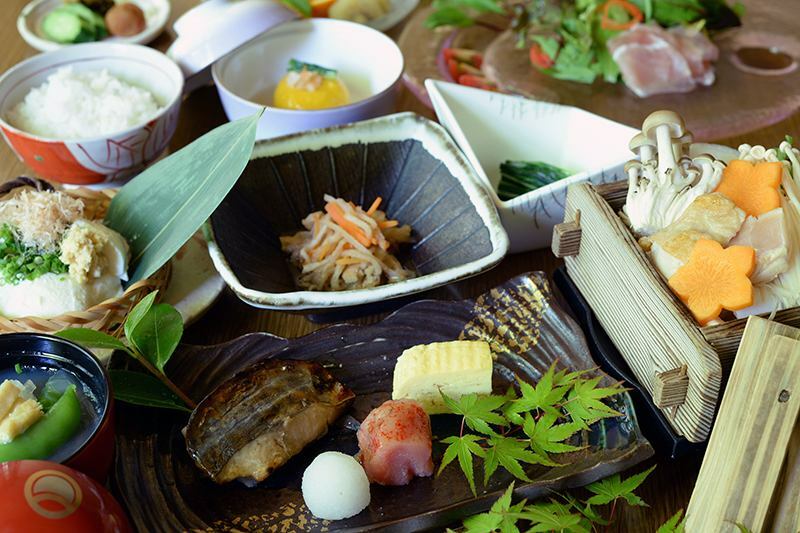 Please enjoy delicious time of speech and the chief chef's "Creative Kaiseki Cuisine". 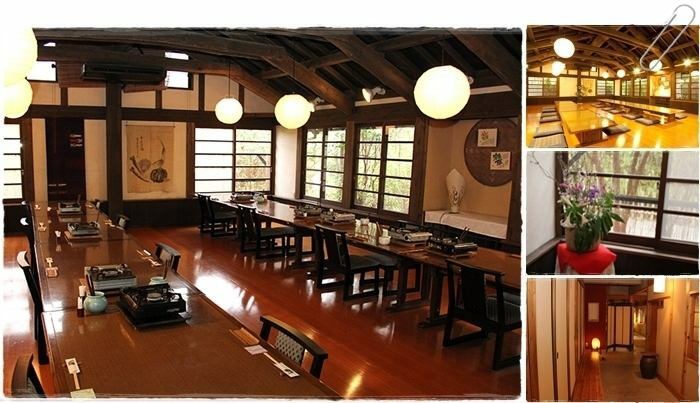 The flooring of the heating harmonizes with the comfort of the Japanese in a relaxed space and makes you feel nostalgic.